Cardi B finally debut her long waited album which may of us has been expecting.Her new album is called Invasion of Privacy and it was released on 5 April 2018.The album features guest appearance including most of our popular artist,SZA, Chance the Rapper, Migos, 21 Savage, Kehlani, YG, J. Balvin, and Bad Bunny.Those are her guest art. team up the album in title. 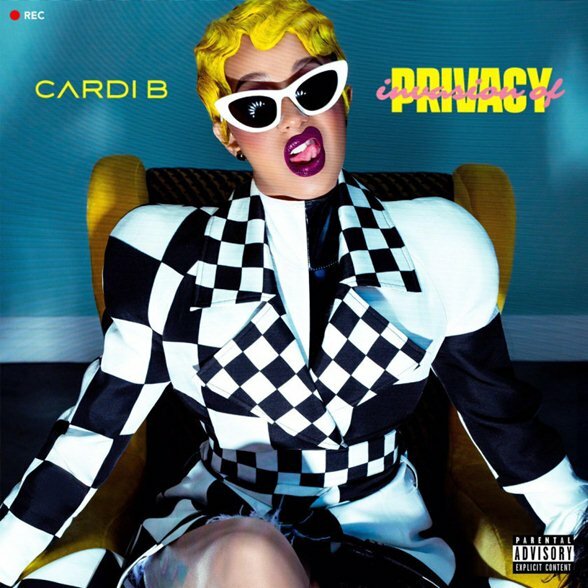 Cardi B Invasion of Privacy Album has about four hot tracks in this project that is newly released.Songs like Bodak Yellow,Drip,Bartier Cardi,Be Careful and some other track are as dope indeed. The album has Battle many foes and she really want to keep all her assiduous work just to conquer her rival.Cardi B and Nicki Minaj are the only female rappers who never put an end to their online stuff and it continue to grow un unexpectedly. While we wait for Nicki Minaj album,lets take a listen to new work from Cardi B,stream it below and leave you comment.